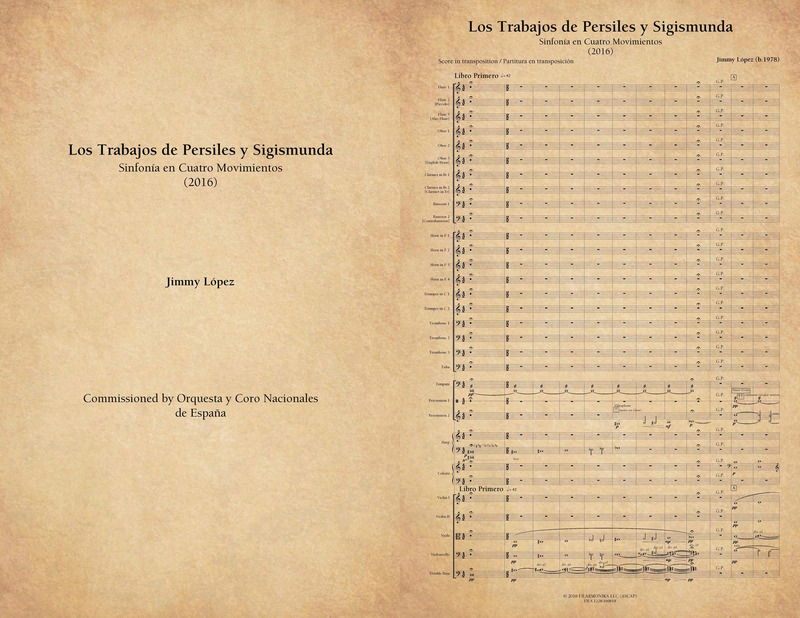 I have just delivered the score of my first symphony, “Los Trabajos de Persiles y Sigismunda: Symphony in Four Movements” titled after the homonymous novel by Miguel de Cervantes. Commissioned by the Orquesta y Coro Nacionales de España to commemorate the 400th anniversary of Cervantes’ death, it will be premiered by conductor David Afkham and the National Orchestra of Spain in Madrid on September 30, with two additional performances also in Madrid on October 1st & 2nd, and two performances in Mexico: one during the Festival Internacional Cervantino on October 11 and a second one in Mexico City on October 13. What a journey it has been! What surprises me the most is how well the creative process flowed. I started writing it in mid-January and concluded it in mid June, which means that it took me five months to complete, or to be exact, 19 weeks (I had to take one week off due to a trip to NY in May). Naturally, I still had to spend an additional five weeks editing the score, but that is not part of the creative process itself. To be honest, the writing of this piece went much more smoothly than expected, especially if one takes into account how not very optimistic I was at the beginning, when I was about to face this daunting task. Back in early January I traveled to Chicago for the last four performances of “Bel Canto” at the Lyric Opera of Chicago. Back then, my mind was still completely immersed in “Bel Canto” and there was not much more room in my head for additional notes. The good thing about my two-week stay was that the rehearsals were over and that I was on my own and had a lot of time in my hands…at least for the first few days, because then it got really busy with interviews, social events and other engagements. In those few precious days when I had all the time of the world I listened to lots of music, in particular David Bowie’s experimental instrumental music and Giacinto Scelsi’s orchestra works. I must confess I hadn’t listened to David Bowie’s music before, but after his passing I took an interest in his very last album and that led me to discover his previous songs. Scelsi interested me because of his obsession to write using solely a single note, and I was interested in understanding how he was able to create monumental orchestral works with such limited materials. This is not to say that my first symphony was directly influenced either by Bowie’s or Scelsi’s work, but rather it was more a reflection of my desire to explore music that I wasn’t at all familiar with and which challenged my conception of how to employ music materials. You see, after “Bel Canto”, I was incredibly exhausted both intellectually and emotionally. I wouldn’t say I was drained or out of ideas because I wasn’t; I just wanted to explore a new path, but I was weary of doing so because during the previous five years, since 2010, I had been using a system that I pretty much employed in every single composition I wrote during that period of time. I thought I had finally found my working method, a method that I would use for the foreseeable future, but “Bel Canto” pushed me to my limits, effectively leaving no stone unturned. I had given it all. I could have had continued to use my system, a system which I had already begun to master, but after five full years of exploring it, I wanted to try something else. I will now try to briefly explain the system I am talking about. I will, however, refrain from a full analytical explanation because that is not the main topic I want to address today. Also, if you have never had any kind musical training, please feel free to skip to the next paragraph. The system employs as its basic building block a fixed group of pitches that are always associated with a specific frequency. For example, if I want to use an A, that A needs to be always 440Hz. Normally I favor spacing out the notes in more or less equidistant intervals, and in “Bel Canto” my preferred intervals were the 4th and the Augmented 4th, but the system allows for all kinds of intervals to be included. Now, as I said, this is only the basic building block; the skeleton, sort to say. Once one has chosen the fixed-frequency pitches one wants to use, a scale is derived. I tend to like 9-note scales, so those abound in many of my works, but the system allows for any number of notes. I do limit myself to the chromatic scale; in other words, I don’t employ microintervals. Once a scale is derived, one may begin to build chords on top of the scales and, consequently, many harmonic and intervallic relations arise. My system is purely harmonic and melodic because so far I haven’t tried to regulate rhythm or timbre in such strict ways, although I do try to create very tight motivic relationships through the use of recurrent intervals and rhythmic patterns. After so many years I felt like I needed a new challenge. For all its worth, the system (like any other system) had shown its limits and there were places it wasn’t allowing me to go to. The biggest issue at hand though was time. I only had six months to write a 45-minute piece, so I didn’t have the luxury of developing another fully-fledged system before I started to work. While in Chicago I borrowed an electronic keyboard from the Lyric Opera and I spent hours improvising and trying to come up with something fresh. After a couple of days I reached a dead end, utterly frustrated by the limited amount of notes that I had in front of me. Harmony and counterpoint are incredibly important in my work, so I knew I wouldn’t go the route of focusing primarily on timbre, like the saturation movement does for example, especially as it is practiced in France. I find many of those works truly beautiful, but they were just not signaling a path that was appealing to me at that moment, or even now. I felt I had reached a dead end and this is when I decided to go back to the most basic element: a single note; a note devoid of rhythm and thus frozen in time. This is when I remembered the works of Giacinto Scelsi, which I had first encountered as a student at the Sibelius Academy. To me it was quite unbelievable how a composer was able to deliver so many works on this unique principle, but the truth is that as interesting and daring as those works are, I knew I could not go down that path, first because it had already been done (and how! ), and second because if you have ever heard my music, you know that I am not a particularly austere composer and that I love diversity and a wide stylistic and emotional range within the course of a single piece. Besides, my conception of the symphony is closer to that of the great symphonists of the 19th and early 20th centuries, and although I won’t go as far as Mahler who said: “a symphony must be like the world, it must contain everything”, for me, a symphony must be -in and on itself- a clear proposition depicting the governing laws of its own self-contained world, very much like a scientific theory describing the mechanics of our universe. I know I might be pushing the comparisons a little too far, but please bear with me. I think of this symphony as describing a journey, not an open-ended journey, but a journey in the quest of enlightenment with a clear trajectory that culminates in the realization that everything is connected. I perceive Scelsi’s music as a mystical journey inwards, in permanent search for answers to the fundamental questions, and this was the trigger I needed to kick-start my symphony. To make things even more complicated, the symphony is based on Cervantes’ “Los Trabajos de Persiles y Sigismunda”, his very last novel, which he completed just days before this death. Here is one of humanity’s greatest authors leaving us a complete novel right before he undertook a journey to where we couldn’t follow him. All I can say is that if I could ever have the chance to read someone’s account of life in the afterlife, I would definitely want to read Cervantes’, as I’m pretty sure it would be incredibly entertaining given his wit and quirky humor. Jokes aside, the novel is an incredible journey fueled by the unbreakable love that a man and a woman profess to each other throughout the course of innumerable vicissitudes, all while having to pretend to be brother and sister, at times even cross-dressing in order to deceive their suitors. Their journey takes them from the gelid waters of Scandinavia to the warm Roman soil where after four books (each one corresponding to a movement of the symphony) they finally reveal their identities and are wedded under the auspices of the Roman Catholic Church. This is a story of love and resilience that culminates in your, perhaps, foreseeable happy ending, but a very hard-fought, well-earned one indeed. Reflecting all of this in the symphony was not an easy task, and I chose to transmit the spirit of their struggle and subsequent joy in more loose terms rather than trying to recreate the story musically page by page. When I say “loose” I mean this in reference to the fact that I did not attempt to write a score that would literally and chronologically relate the events narrated in the book. Instead, I focused on the great arch of the story and the emotional reactions that it spurred in me. Now is a good time to explain why I bothered so much to describe the system I had been using until now. When I began the symphony I decided to go back to following my instinct and my ears. I did of course outline a plan containing the motifs and overall arch of each movement before sitting down to write the first note, but I had by no means figured out the precise harmonic or melodic language that I would use. At times it truly felt like walking in the dark. I started by delving deep into the main four-note chromatic motif: C-C#-D-C#; this was my point of departure. Imagine a musical theme trying to emerge out of a single note (C) but as soon as it strays even the tiniest bit, it is immediately brought back to its starting point by its own weight and sense of futility. The theme starts to open up gradually and it truly permeates the whole symphony until, in the last movement, it blossoms and opens up to expose its full potential. The beginning of the fourth movement is also very telling because of its austerity. All it consists of is a single note played to a very insistent rhythmic pattern, but when it starts to merge with the theme of the first movement, it begins to realize its own potential. At some point toward the second half of the 4th movement all three previous movements are quoted, a technique that Beethoven famously used in the last movement of his 9th symphony. In my symphony, however, I decided against quoting them literally, so I presented them through the lens of the 4th movement’s theme instead. This is the kind of journey that I’m talking about, where all the characters of the novel (themes and motifs) come back and merge into a single musical manifestation therefore making us realize that everything is connected. Writing this symphony has been a great adventure, and as I said before, I couldn’t have done it just a few years ago. I just wasn’t ready. Now I feel eager to tackle more challenges and I am thirsty for more symphonies, operas, and large-form compositions! I can now, more or less objectively, detach from my own perspective and see that I have grown from a composer who used to struggle to create a structurally cohesive 10-minute symphonic work to one that can tackle a 45-minute composition. It is rewarding, but above all, I can’t wait to share it with you. I don’t share the vision that all a piece needs to be complete is to be written on paper, rather I do believe strongly that for it to truly come to life it must be played and listened to. I have poured my soul into this symphony and although a few years from now I might look back and smile condescendingly at my present self for how seemingly daunting the task was at first, I can say that right now, right this moment, I have -in Roxane Coss’ final words- most definitely pushed myself “forward and ahead”. This is it, ladies and gentlemen. 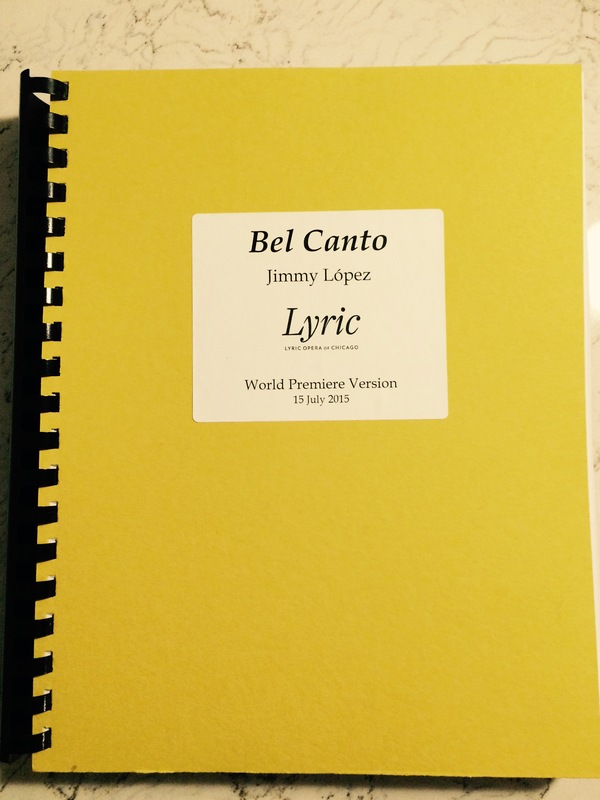 Bel Canto has made its final transition from book to opera. Practically 5 years after the World Premiere Announcement, 14 years after Ann Patchett’s riveting novel was first published, and 19 years after the real events on which it is based took place, this unique and oh-so-relevant story will be seen on stage for the first time. The dates: December 7, 10 & 12, 2015 and January 5, 8, 13 & 17, 2016 at the Civic Opera House, home to the Lyric Opera of Chicago. I don’t think I exaggerate when I say that Bel Canto is one of the most awaited opera events of the year. The expectation surrounding it is at an all-time high and Lyric Opera has made a remarkable job in nurturing and now promoting this show. I’ll be in Chicago for the next three and a half weeks supervising the final phase of its transition to the stage, but I’ve already had the privilege of attending the first two weeks of rehearsal (Oct 26-Nov. 8) and during that time I witnessed the devotion and passion with which our wonderful cast is bringing our characters to life. What was most striking though was having the opportunity to see director Kevin Newbury in action. Director Kevin Newbury (center right) in action at the set of Bel Canto. Kevin directs with surgical precision but he never comes to rehearsal with fixed ideas; instead, he comes armed with and arsenal of possibilities which he tries over and over during the course of rehearsal, never resting until he is satisfied. His collaborative approach gives enough creative liberty to the actors so that they too are able to contribute to the storytelling, thus bringing the best out of everyone involved. As a composer, I am used to working in the solitude of my studio, so watching Kevin create in front of everyone’s eyes is particularly fascinating to me. He had already earned my respect throughout our countless work meetings in the past few years, but there were moments during rehearsal which left me in complete awe. There was one particular rehearsal when we were going through the third scene of Act I and, all of a sudden, Kevin came up with an idea that neither Nilo nor I had envisioned at all. There is plenty of dialogue and music in that section so it never occurred to me that it necessitated anything else, but by recontextualizing that particular passage, both, words and music, were elevated to a completely different level. Everyone in the room felt the magic, because there’s no other word to describe it properly. I won’t give it away, but I will tell you to look for Alfredo’s aria: “We are not temporary warriors” on Act I, Sc. 3. It is simply chilling. Sir Andrew Davis conducting the first orchestra rehearsal of Bel Canto. Another highlight were our first two rehearsals with the Chicago Lyric Opera Orchestra. Never in my life have I spent so many years writing so much music without having the possibility of listening to it! I may spend many months working on an orchestra piece, but I know that I will be able to listen to it just a few months after delivering the final score. With Bel Canto it has been completely different and on Wednesday, November 4, three years after I first sat down to write the first notes, I listened to the music being played for the first time ever. That music had been living in my head (and in some ghastly MIDI versions) all this time, so you can imagine the excitement that I felt. The orchestra is simply remarkable and saying that Sir Andrew Davis knows the score inside out would be an understatement. Not only has he diligently studied and internalized every measure; he has been a witness of the whole creative process. Danielle de Niese and I recording Roxane Coss’ first aria: “You Were Destined to Come Here”. Sir Andrew recently said during a fundraising dinner that there is no other example in history in which composer, librettist, director, conductor, and curator had worked so closely and for such a long gestation period. He is actually right; normally you would have the composer and librettist working very closely in the creation of the piece, then the director would come a few weeks prior to opening night to begin with stage rehearsals, and finally, the conductor would join to supervise both stage and orchestra rehearsals. Curators and/or producers are rarely involved at all. Bel Canto is unique in that Renée Fleming, our curator, originated the whole project out of her love for Ann Patchett’s book. She and Sir Andrew Davis set out to find a composer, and then, once I was on board, all of us began to search for a librettist. Kevin was our final piece in the puzzle (and what a brilliant piece it is!). The five of us have been working together for years and by now our bond has transcended work and become friendship. Even our diva, superstar soprano Danielle de Niese, who is not only an outstanding singer but a remarkable actress and team leader, has been actively involved for the past two and a half years to the point that we held a workshop exclusively for her about a year ago. In other words, what you’ll see on opening night will be a finished, polished product and the result of years of cooperation. This show has been sketched, written, rewritten, workshopped, cut, expanded, teched, and revised numerous times already, and although there is always room for improvement, you can be sure that we have taken care of every single detail. 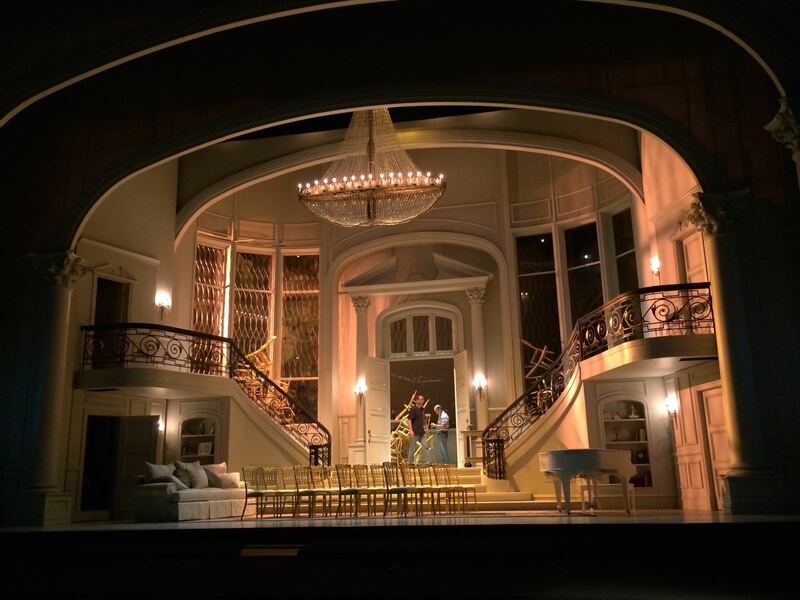 Our team is complemented by a wonderful group of designers who are household names in the world of opera: stage designer David Korins, costume designer Constance Hoffman, lighting designer Duane Schuler, and video projection designer Greg Emetaz. The Chamber Music Concert I curated in cooperation with Lyric Unlimited at the Chicago Cultural Center’s Bradley Hall. Photo: Michael Brosilow. In preparation for opening night, Lyric has organized three events: a chamber music concert on November 8, a public conversation with Renée Fleming and Ann Patchett on November 18, and a discussion panel with the creative team, which is scheduled for December 2. The first of these events took place at the Chicago Cultural Center and in the words of an audience member it was “a transfixing experience”. Rarely does a composer have the luxury to curate and present a program of his own design, so I was thrilled when Cayenne Harris, Director of Lyric Unlimited, invited me to do it. The program included works by other composers who have had a great influence on me: Bach’s “Fugue” from the Sonata for solo violin No.1 in G minor BWV 1001 in transcription for viola, Stravinsky’s suite from “The Soldier’s Tale” in its version for trio, and Gerard Grisey’s “Talea”. In addition to these I presented three of my own compositions: Warped Symmetry for solo flute, K’asa for violin and piano, and Of Bells and Broken Shadows for cello and piano. Having the opportunity to present this concert was already remarkable in itself, but working with the musicians was an added bonus because most of them are members of the Lyric Opera Orchestra, so this was an excellent opportunity for us to get to know each other in a more intimate context and not just during orchestra rehearsals. As I said in my introductory remarks from the stage, all orchestra musicians and musical guests who graced us with their artistry that day deserve a major applause. I knew I was pushing the boundaries when programming some avant-garde works like Talea, so you can imagine my joy and relief when I found out that the audience had, in fact, greatly enjoyed every single piece in the program. I don’t know if this is going to happen any time soon again, but curating a concert like this was so much fun and so rewarding that I can’t wait to do it again! With Lyric Opera’s General Director Anthony Freud and Music Director and Principal Conductor Sir Andrew Davis. Photo: Todd Rosenberg. Lyric Opera has undergone a great transformation under the leadership of its current General Director, Anthony Freud. It is he together with Lyric’s former President and CEO, the late Ken Pigott, who brought Renée Fleming to serve as Creative Consultant, and it is he who embraced the idea of commissioning a new work for the main stage, something that Lyric hadn’t done in over ten years. This is a momentous production and an important one in the history of Lyric and the city of Chicago. Everyone involved in it is giving their all to make this an unforgettable experience for the audience. You might not hear much from me in the next couple of weeks, and that’s a good sign, because it means that I’ll be fully immersed in rehearsals. This is why I wanted to take the time to write this blog entry today, so that you could all feel and share the excitement that we are experiencing at this very moment. This is an opera of firsts: my first opera, Nilo’s first opera, Renée’s first opera as creative consultant and, surprisingly, the first time that Sir Andrew Davis will conduct an operatic world premiere. The most experienced member of our team is Kevin, who has already established a name for himself as director of new opera, film, and musicals. Come to the theater with open eyes, ears, minds, and hearts and I promise that you won’t be disappointed. And now, I must conclude this entry because the captain just announced that we must prepare for landing. See you on opening night! What is inspiration? What is that spark that ignites our thoughts and makes it possible for us, creative artists, to produce a work of art where there was nothing before? A walk in the woods, a book, a movie, or even a look at the night sky can all serve as sources of inspiration and elicit the most original thoughts within our minds; but the concept of inspiration itself is far more elusive. Where does it originate and is it absolutely essential for the creation of new art? Inspiration is, for me, a fully physical, mental, and spiritual experience. It may manifest itself in ways similar to the surge of energy that one feels while deep in meditation, when –for a brief moment- reality reveals itself as an endless stream of interconnected events. It is transcendental, existing in a realm beyond time and space, and it is unique and unrepeatable. It may come in a dream, while daydreaming, or while deeply concentrated in one’s work; and it can happen spontaneously, after hours of unconscious laboring by our mind, which never ceases to work. It would be naïve, though, to think that it is eagerly trying to reach us. It does not gratuitously knock on our doors and it does not visit the undeserving. One has to earn its presence by tirelessly showing up to work every day and one can’t wait for it to show up before starting a new project. It may come at the beginning or at the middle, and chances are we might arrive to the double bar without having being graced with its presence at all. I have written works that were the result of long hours of hard work where I poured all my knowledge and technique without ever feeling inspired. Such is the life of a professional composer. It doesn’t mean I like those works any less and I might love them even more precisely because their birth was so incredibly laborious. But there are other works during which I felt that unmistakable spark, and such was the elation I experienced that I couldn’t help but getting off my seat and jumping in joy or bursting into tears. These very personal ‘eureka’ moments, which I am now candidly sharing, might not be frequent but they are one of the reasons why I keep doing why I do. They make me feel real, in the full sense of the word, and they make me feel connected to everything else. These moments come accompanied with a musical “embryo”; it may be a short melody, motif, theme, rhythmic pattern, or interval sequence, but they feel inexplicably complete in the sense that they come filled with an enormous potential waiting to be unraveled. This moment lasts for a few seconds, but it can give enough material for a whole composition. It is then the job of the composer to bring about this idea to its full potential and this is when years of learning and discipline kick in. Beethoven :: Symphony No. 5, 1st mov. Manuscript, pg. 77. Source: Staatsbibliothek, Berlin. Take for example the classic Theme and Variations form. The greatest composers have always used this particular form as a great muscle-flexing exercise. Think of Bach’s Goldberg Variations or Beethoven’s Diabelli Variations. They start with a simple theme that serves as “inspiration”, but what really makes those works great is not the themes themselves, but what Bach and Beethoven did with them. In the same manner, one may experience the most incredible moment of inspiration accompanied with the most brilliant of melodies or motifs, but if the composer is not equipped with a formidable arsenal of tools to chisel and shape it, that melody won’t reach a fraction of its true potential. Perhaps the most celebrated motif of all time is that of Beethoven’s Symphony No. 5. With only four notes he created a full symphony, and I am pretty confident that he could see it all unfolding at once, although judging from Beethoven’s sketches, we know that writing that symphony was not an easy task whatsoever. It is often the case that young composers delight in showing their prowess by displaying an enormous palette of materials within a single piece (take for example Felix Mendelssohn’s String Octet, written when the composer was 16 years old) but, in general, when they grow older, they become more economic and concise. This is a sign of confidence and maturity, and it shows that they have arrived to a point where they have understood and internalized the phrase “less is more” and have learned to effectively focus their efforts on a few ideas until they are perfectly polished. Works created under this mindset feel round, solid, and self-contained, and they are usually produced in the more mature years. When composers reach this stage, they don’t rely anymore so much on the musical ideas themselves (at that point even the most simple of melodies can serve as inspiration), what really counts now is how their minds can mold and transform practically any material that comes their way. They become alchemists, making gold out of anything they touch. It may seem as if all of this might diminish the importance of inspiration, but the truth is when this level of craft and the highest inspiration are combined, the results can be the equivalent of a spiritual revelation. These are the works that have borne the test of time and remained in history for decades and centuries. Tracing the origin of inspiration itself is frankly not that relevant in the end. Every human being has experienced it at some point in his or her life, perhaps while witnessing the birth of a child, the death of a relative, or in a deep moment of prayer or meditation. What artists, and specifically composers, do differently is being able to share it with others. Experiences like the ones I just mentioned elicit the strongest emotions in us, and as a composer I strive to communicate and rouse these feelings in other human beings as well. For that to happen not only must the music material be good, but also the composer must be able to harness and subject it to a process of transmutation, and that’s when all those years of training, knowledge and hard work come to play. We can’t count on inspiration to show up every time we write a new piece, but we must always be ready when it does. We must strive to be the best possible vessels and we can only achieve this with discipline and hard work by, for example, keeping the habit of writing every day. This, in turn, will help us achieve fluency in our writing. Most importantly, we must remember that we are not simply receptacles but that our ultimate aim must be to become alchemists of sound. Whatever we do and however we do it, inspiration must never be taken for granted. It will come to us when it must; all we can do in the meantime is keep writing with deep love and devotion for our art. All things must come to an end, but sometimes the end can signify new beginnings. Just a few days ago I delivered the final piano/vocal score of “Bel Canto”: over 400 pages of some of the most inspired music I’ve ever written. There it was, the culmination of two and a half years of hard work; the product of thousands of hours of intense mental concentration and emotional investment; my largest and most ambitious work to date. Writing “Bel Canto” has not been, however, a lone endeavor. Quite the contrary; much like the gears of a Swiss watch, it is the result of finely-tuned cooperation between myself and librettist Nilo Cruz, director Kevin Newbury, creative consultant Renée Fleming, conductor Sir Andrew Davis, soprano Danielle de Niese, general director Anthony Freud, Filarmonika Publishing House, and the wonderful staff of Lyric Opera of Chicago. “Bel Canto” has now ceased to be a project and is now starting to make its transition into becoming a reality. Much has happened between November 18, 2010 (the day I got an auspicious call from conductor Miguel Harth-Bedoya asking me to upload my vocal music to YouTube so Renée Fleming could listen to it) and now. Among the highlights: I completed my PhD at UC Berkeley; had my music played at Carnegie Hall, Sydney Opera House, and Gewandhaus Leipzig; was granted an EB1 visa; lost two dear friends (Martín Portugal and Andrew Patner); completed six new compositions; had an new orchestral album recorded for Harmonia Mundi; and recently, in May, got married to my loving husband, Heleno, in the wedding of our dreams. I am five years older –and I’d like to think wiser- than I was back then, and I am ready for future challenges. But let’s take one step at a time: much of the second half of this year will be devoted to making “Bel Canto” the best possible show, so it can live up to the mounting expectation that has been surrounding it. The world premiere announcement took place over three years ago, on February 28, 2012, but I still remember distinctly one of the questions, posed by the late Andrew Patner. As the conference was drawing to a close, he asked: “Jimmy, I’ve been looking at you throughout this announcement and you don’t seem the least intimidated by the scale and prominence of this project. How do you feel about all this?” I replied: “Far from being intimidated I am happy and relieved that I will finally have the opportunity to pour all the ideas I’ve been accumulating over the years”. And that’s exactly what happened; what a luxury it has been having the opportunity to write a three hour-long opera for full orchestra, two choruses and 16 soloists! It has given me the chance to explore new musical and emotional territories, and it has forced me to find creative solutions to seemingly impassable problems. Outside, the flight of a bird. Sotono sekai de-wa, otokonoko ga sawaideiru. After many hours of head banging and almost giving up, I came up with the idea of having Hosokawa sing each word as if reciting it, bringing a drone-like quality to it (especially because he doubles the bass line every second measure) while Roxane simply floats above him in an ever-ascending melodic line. Finding this solution encouraged me to tackle other more complicated sections. As I mentioned in an earlier article, I don’t work chronologically, so even though this duet belongs to the second act, I wrote it in August of 2013, way before I wrote the second and third scenes of Act I. I won’t say that the task of setting many languages became easier after this, but I would definitely say that I became more confident and resourceful when facing similar challenges. If I ever write another opera, and I certainly hope to do so, I will be much better equipped to face the challenge. For starters, now I know that I can’t possibly produce a piano/vocal score before the orchestral score because I very much prefer to write either a short score or a full score right from the start. Many of my ideas are very strongly associated with a particular timbre right from the start, so it’s really hard for me to conceive a fully abstract piece of music and decide its instrumentation later. Could you imagine the beginning of Debussy’s “Prelude à l’après midi d’un Faune” played by any other instrument but the flute? Neither could I. Another thing I’ve learned is that when working with a creative team, it is much more helpful to hear their ideas and suggestions before writing the music rather than getting their feedback after the music has been written. Both are good of course, but their real chance to help shape and influence the composer comes before he/she sits down to write; that way everyone agrees with the inner conception and structure, which are things that are very difficult to change after the fact. Once the music is written one can alter many things, but the architecture of the piece is sounder when it doesn’t have to undergo major structural changes later in the process. I have also learned how to make the most out of a workshop. When we had our workshop back in the summer of 2014, I wasn’t really sure what to expect, but to my surprise, almost everything turned out to sound exactly as I had imagined. The good thing, of course, is that by the time we reached the workshop, we had had several work sessions with the creative team, so I had been able to polish many of the details before we played through the score. In this sense the workshop helped everyone get a better idea of the piece, especially our stage director, Kevin and our set designer, David Korins. I, however, didn’t gain as much from it as I would have wanted to. For example, were I to have another workshop, I would ideally request to have the exact voice types. The effect is quite different when a mezzo sings the part of a countertenor or a baritone sings the part of a bass. Also, rather than just singing through the score, I would encourage the singers to interact a little as if they were actually on stage, so that I could gain a better feeling of the dramatic tension of each section. Finally, I would have the workshop at a very early stage of the process, let’s say six months into the writing, rather than a year and a half later, when most of the score has already been written down. Live and learn, they say, and I have certainly learned much from this experience. 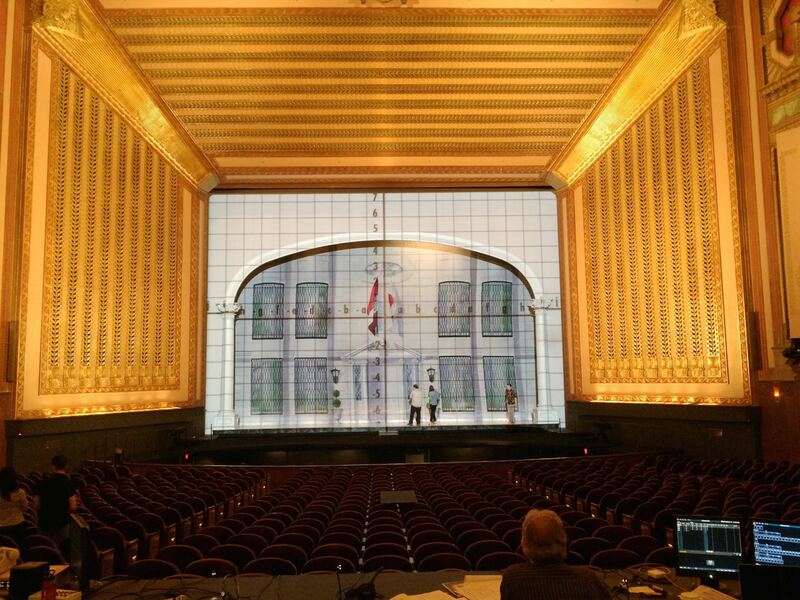 Thanks be to Lyric Opera of Chicago for sparing no effort or expense when it comes to ensuring the success of this show. I am now in Chicago for tech rehearsals and a few media interviews. Now that the piano/vocal score has been delivered, the chorus and cast members can begin studying their parts; (the full orchestral score will be ready by August 1st). It is now time to hand the reins to Kevin and Sir Andrew, so they can translate my score to the stage. Renée Fleming is the dedicatee of the score and I am convinced that no one deserves it more than her; her vision and determination have been instrumental in the creation of this piece and her support has been an unending source of inspiration to all of us in the creative team. Last but not least, I have to thank my dear husband Heleno for his undying support during these past five years. He and I met in September of 2010, shortly before that auspicious phone call. He has seen my ups and downs, joys and struggles, and he has been with me all along, supporting me in every possible way that a partner -now husband- could. I can’t wait to see “Bel Canto” on stage. It will mark the culmination of an important period in my life which has seen me reach a great degree of artistic maturity, and which points to the beginning of a new and exciting time where I will apply everything I have learned during this extraordinary journey called “Bel Canto”. I want to dedicate these last few lines to two extraordinary men who left us too soon: journalist, broadcaster, and critic Andrew Patner, and Ken Piggott, former President and CEO of Lyric Opera of Chicago. Their departure has left a hard-to-fill void in Chicago’s vibrant cultural life. May their genuine love for the arts continue to serve as an example for future generations. They were truly excited about the premiere and I am sure that they will be with us in spirit on that long-awaited date: December 7, 2015. 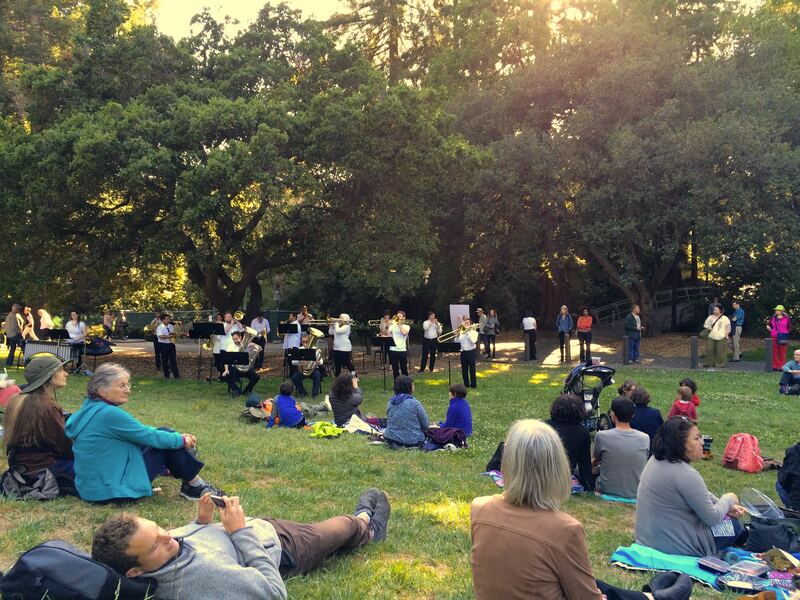 Last month the 70-year-old Ojai Music Festival came to Berkeley for the fifth consecutive time, bringing with it a wealth of talent, great music, and mind-boggling performances. 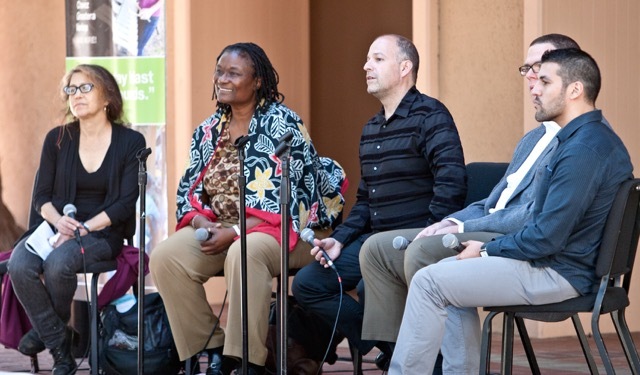 This year I was invited for a second time to be part of the Community Response Panel, along with musicologist William Quillen, conductor Lynne Morrow, and vocalist-composer Amy X Neuberg, moderated by Cal Performances Associate Director, Rob Bailis. I attended all but one concert, and was left with the renewed conviction that contemporary music is alive and well, and that human creativity is indeed limitless. The festival got off to an auspicious start on Thursday, June 18 with John Luther Adams’ “Sila: The Breath of the World”. The Pulitzer Prize-winning, Alaska-based composer has been gaining more prominence on the national and international stage in recent years. His works are inspired by nature and Sila was not the exception. The performance took place outdoors, at the faculty glade. It is scored for 80 musicians, grouped according to their instrumental family (woodwinds, brass, percussion, voices, strings) and placed several feet apart from each other while surrounding the audience. At the same time, however, the audience was encouraged to walk around and in between the musicians so they could experience the sound from different angles. The performance lasted an hour and one was left with the feeling that the piece had emerged from and disappeared back into nature. Walking in between the musicians during the performance gave one the feeling that one was walking through a labyrinth full of hidden treasures. At every turn of the corner one discovered a lone violin or a fragile flute producing a minimal sound that was only possible to perceive when in close proximity. At the other end of the spectrum, one would remain content by listening to the brass from afar, especially when playing fortissimo. It was quite an experience. Toward the end of the piece, as the music was fading away, one could hear the children playing, only to realize that they had been playing all along. That same evening we were treated to “A Pierre Dream – Pierre Boulez: A Portrait”, a remarkable staged concert performed by the International Contemporary Ensemble (ICE) and soprano Melissa Hughes, conducted by Steven Schick -Music Director of the 2015 Ojai Music Festival. 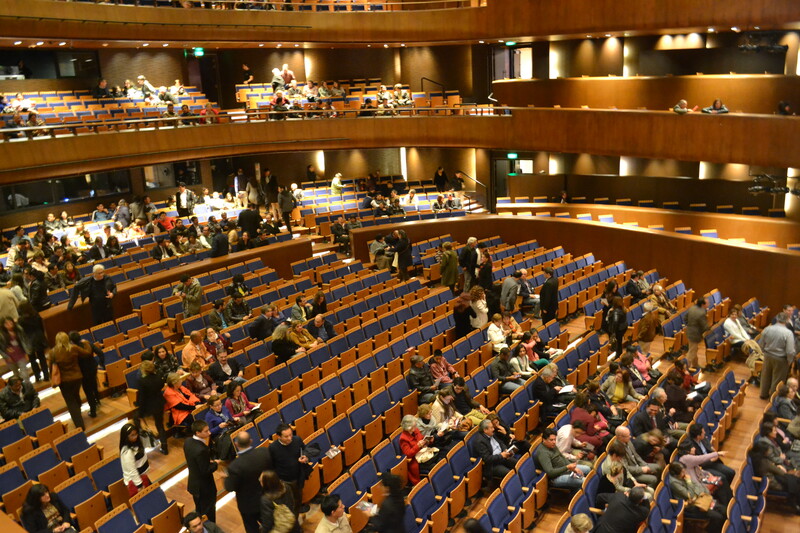 The stage set was designed by celebrated architect Frank Gehry, a personal friend of Boulez’. The concert featured excerpts from several works by the veteran composer (who turned 90 this year) spanning decades of his creative output and interspersed with video commentaries by the composer himself. It was a multimedia feast, which included readings of several poems that the composer set to music, and live video feed from cell phone cameras projected onto a number of mobile screens that were continually set in motion by a group of dancers on stage. 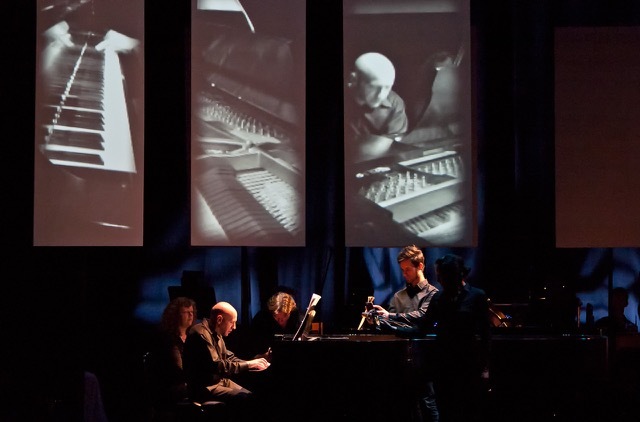 It was, without doubt, one of the most engaging multimedia concerts I have ever attended and one that shed light on Boulez in a way which a regular performance of his music couldn’t have. Friday began with a fantastic pre-concert talk by Steven Schick and Claire Chase, who is Executive and Artistic Director of ICE, and moderated by Matías Tarnopolsky, Executive and Artistic Director of Cal Performances. Both speakers demonstrated incredible charm, eloquence, and a very sharp sense of humor. Not only did they talk about the upcoming concert of the evening, but they also performed during the talk, involving the audience in the process. Steven Schick’s performance of “Trans” by Chinese-American composer Lei Liang was particularly special because it took audience participation to the next level. We were each handed two small pebbles that we had to play when instructed and as directed. There is something particularly magical about the sound hundreds of pebbles in and out of sync, and in this piece it was meant to represent rain in its different stages. It certainly added a layer of drama to the sound produced by the percussion instruments on stage. At 7pm Steven Schick began his solo performance. It was a tour de force and, in my opinion, the most memorable concert of the festival. He navigated with incredible ease through some of the most demanding solo percussion pieces ever written, all of them played by memory. The sheer physicality and level of coordination needed to perform these pieces is stunning, and it was amusing to see how each movement had been choreographed in advance with surgical precision. If you think I’m exaggerating just attend the next performance of Xenakis’ “Psappha” o Stockhausen’s “Zyklus” and you’ll see what I’m talking about. The second half of the program might have struck the regular concertgoer as rather eccentric, but one that was definitely not to be missed. We are talking about the staged version of Kurt Schwitters’ “UrSonate”, an early example of sound poetry, written in an invented language devoid of meaning. This performance, directed by Roland Auzet, lasted about 40 minutes and it was a true assault on the senses. Steven Schick, once again demonstrating an exceptional capacity for memory, recited the whole poem by heart. Apart from himself all he had was a set of mobile mirrors to play with, a series of projections, and a microphone that processed his voice in real time (much in the same way that a live electronics piece would do). After a few minutes of listening to an endless string of nonsensical words one actually started to feel as if there was an underlying structure behind them, and in time it just felt like listening to a foreign language. The performer’s intention when uttering those words is key because any “word” could have any meaning, and one mostly assigned meaning to them based on the facial expressions and intonation with which the speaker uttered those words. All in all, the performance and the staging were quite thought provoking and rewarding. My only suggestion to Mr. Auzet would be to avoid pointing bright lights directly into the audience through the use of mirrors. It defeats the purpose because, in the end, one has to cover ones eyes to avoid being blinded, forcing the audience to miss some key moments of the performance. At 11am of Saturday, June 20 began a 12-hour marathon of three remarkable concerts which included many pieces that are rarely heard live. The first was an all-French concert featuring Messiaen, Ravel, and Boulez, which had the interesting effect of showing Boulez, not necessarily as the reactionary composer that broke ties with the past, but as part of a distinctly French, uninterrupted lineage that has inherited its traditions from the past and which continues to pass them on to younger generations. The second was perhaps the most traditional of all concerts, but not less interesting, because it showcased a classic: Bartók’s “Sonata for Two Pianos and Percussion” and Boulez’s “Dérive 2”, a relentless 45-minute piece for eleven musicians that has a certain soft, hypnotic quality to it and which reinforced the notion that Boulez’s sound world, especially his most recent work, owes indeed a lot to the subtlety and refinement of the great French composers of the past. Right before the closing concert, we, the members of the Community Response Panel, took on stage to share our impressions on the festival. 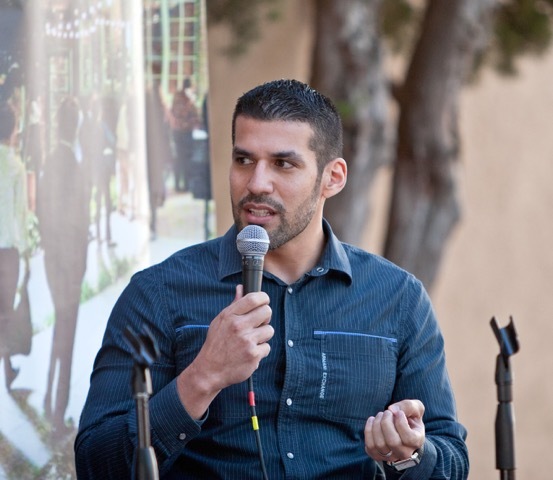 I enjoyed being part of it because each one of us brought a different perspective to the discussion. As a composer of course, I focused on the minds behind the music scores: their contrasting thinking processes, varied sources of inspiration, and the influence they have had on newer generations. Bill, on the other hand has the talent to dwell into the score itself and unlock its most striking features, identifying their background and placing them in context. 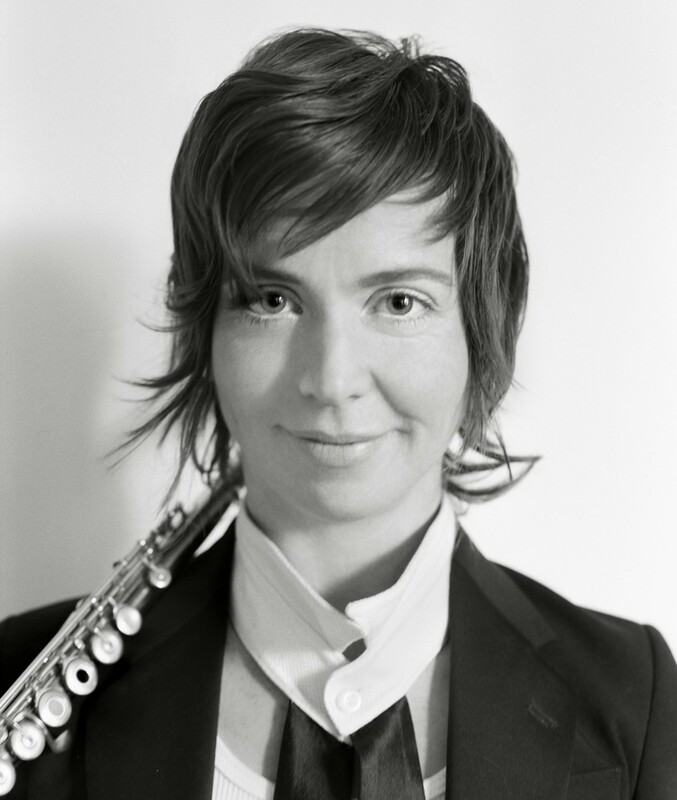 Lynne, as an active conductor, brought the performer’s point of view to the forefront, while Amy focused on language and its relation to sound and music. We took some questions from the audience and I was happy to see that our observations helped, in one way or the other, to shed light on the music and the musicians featured during the festival. The very last concert was a rare opportunity to listen to seldom performed pieces. I was particularly struck by Wu Man’s remarkable performance of Lou Harrison’s “Concerto for Pipa”. 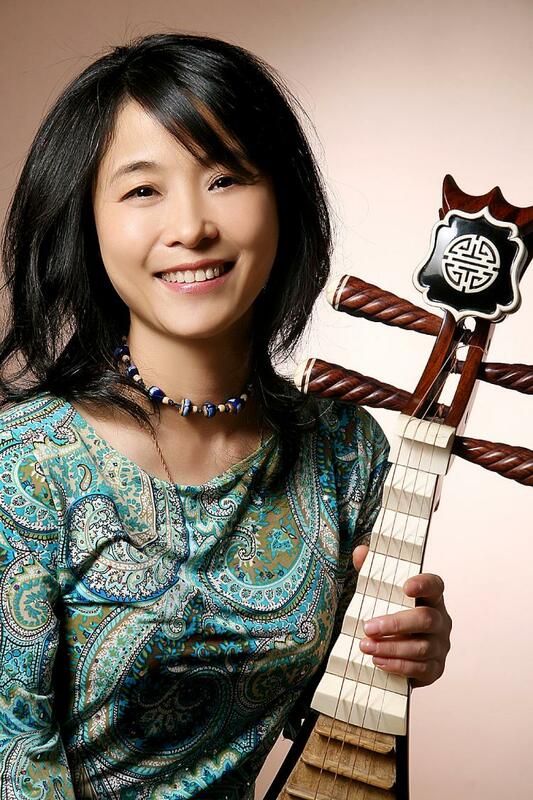 Wu Man is an incredible musician, and I do hope to have the opportunity to listen to her more often. The second half was dominated by Latin American sounds; we listened to Percussion Ensemble Red Fish Blue Fish play Carlos Chávez’s exciting “Toccata for Percussion” and Alberto Ginastera’s massive “Cantata para América Mágica”. 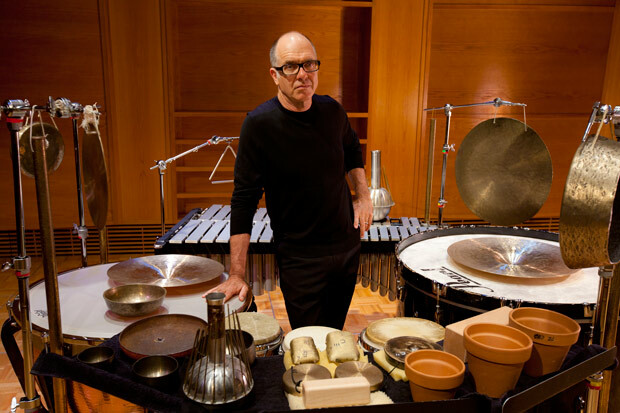 The choice of repertoire was the perfect conclusion to a percussion-filled festival, wonderfully curated by Steven Schick. I am already looking forward to next year’s festival, which will be directed by Peter Sellars, one of the great theater directors of our time. I have always thought that transcendental art exists in a realm beyond time, geographical/cultural context, and politics, but a few recent events have made me put this into question, so I’ve decided to explore this topic a bit further. First, we need to establish whether art and politics are inextricably connected or whether these connections are given by those who produce and/or consume art. I’ll concentrate on Western classical music because that’s my field of expertise. Let’s begin by taking a purely abstract piece of music like say, Beethoven’s String Quartet Op. 59 No. 1, the first of the Razumovsky quartets. This work, in my opinion, is one of the greatest quartets ever written (especially the Adagio), and I don’t think I’m alone on that one. Perhaps it was not hailed as such when it was first performed, but that quartet has, over time, elevated itself and transcended to the point that 200 years later it continues to be listened to and played by people in countries that didn’t even exist during Beethoven’s lifetime, by people whose gender and/or sexual orientation was not accepted back then, and by people who used to be enslaved because of the color of their skin. All of these people love Beethoven’s music today, notwithstanding the fact that it was written when the world was a very different place. In other words, the music itself holds some kind of universal core value, which has allowed it to transcend to the point that it can be judged solely by its musical merits. But if we want to, we can put a context to it. That quartet is one of three who were dedicated to Count Andrey Razumovsky, a Russian diplomat. Beethoven himself used to receive financial support from prominent nobles like Count Ferdinand von Waldstein, and this allowed him to dedicate himself fully to his work. Then of course, we can look at the instrumentation and see that it is scored for two violins, viola and cello -four instruments that were invented and developed in Europe, hence it is a product of European civilization. As we know, many European countries had colonies around the world, so that piece was written during a time when monarchy was still thriving and social inequality was determined by birth and accepted as a matter of fact. Beethoven’s music itself uses the tonal system which was not -and has never been- a universal language, but which reigned undisputed in Europe for over 300 years and which is still pretty much the backbone of most popular music. In the end, Beethoven’s quartet is a European (German, to be more specific) cultural product funded by a privileged class of people who lived out of taxing the working class and who, in addition, funded the brutal colonization of the Americas and Africa. Does all of this sound too reductive and beside the point? I think so. The Eroica Symphony’s cover page. 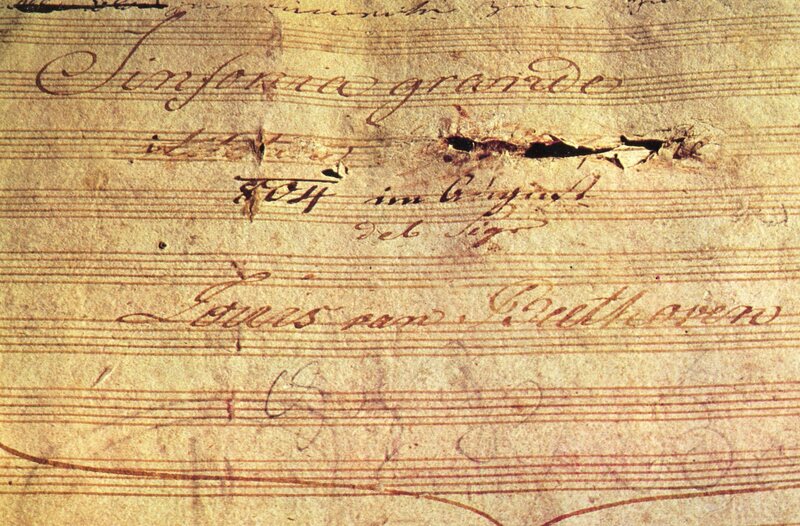 Beethoven ripped Napoleon’s name after he declared himself Emperor. Why should Beethoven’s beautiful quartet be contaminated by any of this? It is certainly not necessary to mention these facts to enjoy or even understand his music, but I’m bringing this up in order to show that not a single work of art can’t exist in a vacuum. Some art, however, manages to elevate itself above all this and become truly universal, but for that to happen we need time and historical perspective. Now, Beethoven’s quartet is quite an abstract work. The same could be said of a Mozart Sonata or a Bach invention, but there are some pieces which are inspired by specific people or historical events, and then we have a more difficult time isolating the music. To continue with Beethoven, we can take his Third Symphony, Eroica, to see what I mean. He initially dedicated it to Napoleon Bonaparte, but withdrew the dedication when Napoleon -much to Beethoven’s chagrin- crowned himself Emperor. What a way to make a political statement! Beethoven himself was known to consider himself as an equal and he felt entitled to the same treatment that his noble friends enjoyed, an attitude that couldn’t be farther from Haydn’s, who live most of his life happily at the service of Nikolaus I, Prince Esterházy. 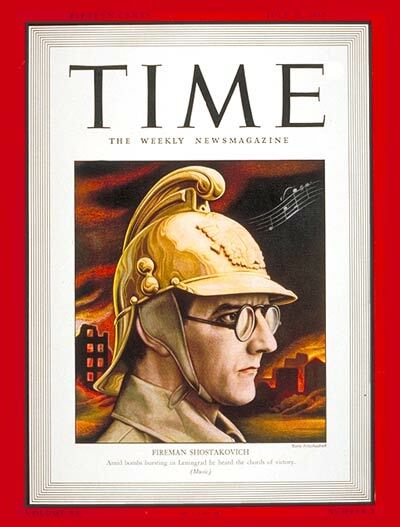 Shostakovich on the cover of Time Magazine on July 20, 1942. He had completed the Leningrad Symphony just six months before. Let’s go beyond the purely instrumental. Let’s take ballet. In a ballet we add a visual context, making the work of art less “pure” because it gives it a story, even if it’s not told in words. When Shostakovich’s “The Bolt” premiered in 1931 it was not very well received by either audience or critics. Its plot tells of a lazy worker who is fed up with the factory and plans to sabotage it by damaging the machinery with a bolt. Even a young group of communists take center stage. The content was deemed anti-Soviet by the authorities and this led to the work being banned. It was not staged again for several decades and it was certainly not the last time in which Shostakovich faced criticism from the authorities. If a ballet can cause all that turmoil, imagine what opera can do. In opera we move from purely abstract music to the world of literal meaning. In Figaro, Mozart made a daringly provocative statement that was not seen with good eyes by the Viennese nobility, and they made sure to let him know. The protagonists of the opera are servants, not legendary heroes, and they speak in everyday language and not in the heightened speech of the gods. The opera was based on the Beaumarchais play which fueled and sympathized with the values of the French Revolution, so the nobles of Mozart’s time couldn’t be unhappier. The opera went on to be staged, but only after heavy censorship, and it became and incredible success. Looking at all these examples we can see that composers can deliberately charge their works with political overtones (like Mozart in “Figaro” or Beethoven in the “Eroica”), that they can upset the political establishment (as Shostakovich did in “The Bolt”), and that they can also write music devoid of any political content, in which case (especially for purely abstract music) one needs to go to ridiculous lengths in order to assign them a political overtone. Now that we have explored this, we can place our gaze on our own time. Should an artist get involved in politics? I have met people who strongly believe that all artists, as opinion leaders, have a responsibility to speak out when current events demand so. Personally, I think that any artist should be free to choose whether he/she wants to be part of the discussion or not and that no one should feel forced to do so. The problem is that it is really, really hard for an artist to stay neutral once he/she has achieved a certain level of fame. Think of the recent controversy that surrounded Venezuelan Conductor Gustavo Dudamel. He has always been extremely reluctant to take a public political stance and I don’t blame him for that, but in the wake of recent protests his neutrality seemed to upset some sectors of the music community. Venezuelan Pianist Gabriela Montero sent an open letter to him saying that, as an artist, he could not afford to remain silent and she exhorted him to speak out his mind in the wake of the massive protests that took place in Venezuela between February and June of 2014. He refused to cave in to politics and instead chose to condemn all forms of violence. Another conductor, Valery Gergiev was also embroiled in controversy when he signed a petition endorsing the annexation of Crimea and he was targeted by the LGBT community for aligning with a regime that openly discriminates against its gay and lesbian population. Gergiev has stood firm on his political stance but his reputation has suffered considerably. Does Gergiev truly support the government of Vladimir Putin, or must he voice his public support in order to continue his work in Russia? Does Dudamel sympathize with the Venezuelan government, or must he remain silent so he can continue doing the greater good of helping the young and poor in Venezuela through their successful and state-sponsored Sistema? I will not answer these questions for them, but as I said there is a point where a public figure can’t continue hiding his or her political views. In this sense I think that an artist must take a stand. We don’t need to be voicing our opinion all the time, but we must do so when it becomes necessary. 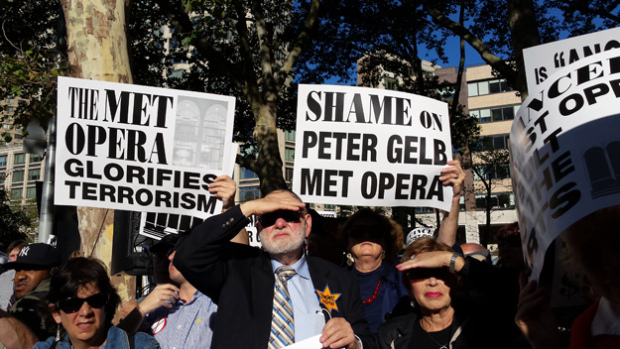 Most recently John Adams’ opera The Death of Kilnghoffer has been accused of being anti-semitic by sectors of the Jewish community. I don’t believe that Adams or Alice Goodman, the librettist, is promoting an anti-semitic view (I have seen the opera) but I do believe that people have a right to manifest themselves and protest. 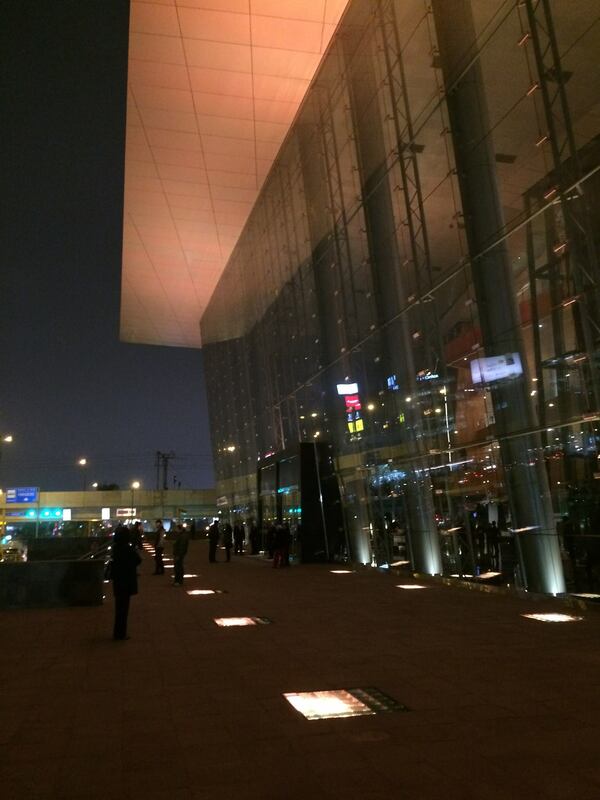 Thankfully, opening night went ahead peacefully (albeit noisily) and the opera continues to live. This is something that hits home because I am currently writing an opera that gives a “voice” to terrorists (and how could it not, they must sing!) but I have never and will never support terrorism. If anyone ever accused me of doing so, they would be targeting the victim instead of the perpetrator. I never lost any of my friends or relatives to terrorism, but I do remember that between 1985 and 1990 my country started to plunge into a spiral of violence that not even my parents or grandparents had experienced in their lifetime. Blackouts were frequent because the terrorists were detonating every electric tower they could get their hands on. Water was rationed due to neglected infrastructure and the supermarkets had more empty shelves than food on them. 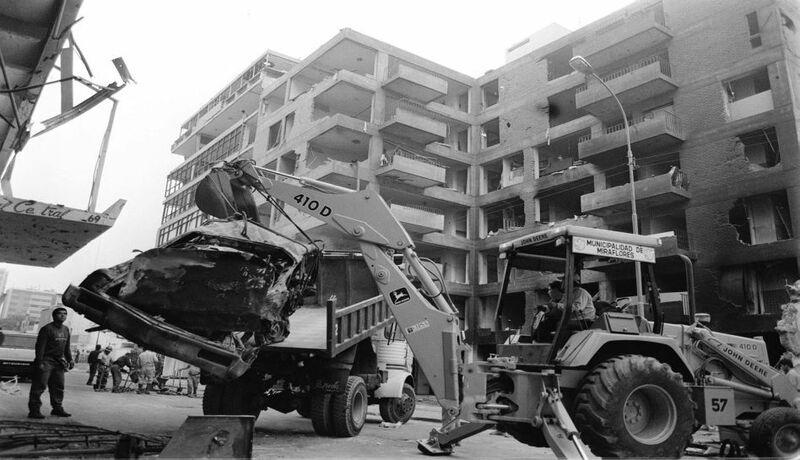 The peak of this came in July 16, 1992, when the Shining Path detonated a car bomb in the middle of Miraflores, one of the most affluent neighborhoods of Lima. I was 13 years old and up to that point, stories like these had only been coming from other parts of the country, but after the Tarata bombing, my family and I knew that there was simply no place to hide. From then on we lived in a state of fear, reporting any cars that had been parked in front of our house for more than two hours, a fear that people in other parts of the country had been experiencing for years, and that those of us in the capital city now shared. In the years following this tragic event, the government of Alberto Fujimori took very aggressive and even questionable methods to defeat terrorism. (In 2009 Alberto Fujimori was found guilty of human rights violations and condemned to 25 years in prison). With its leaders imprisoned, the Shining Path and the MRTA had been dealt a fatal blow and by the mid 90’s the economy, which had been left in tatters by the previous government, had started to rebound. 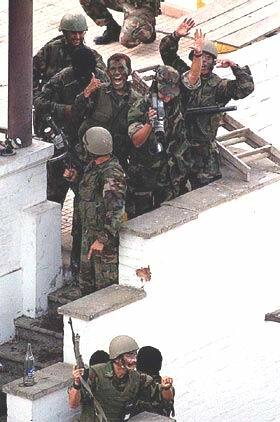 By 1996 everyone thought that terrorism had long been defeated, but it was precisely then, when we had lowered our guard, that the MRTA stormed into the Japanese Ambassador’s residence and started a hostage crisis that lasted four months and which inspired Ann Patchet to write “Bel Canto”. I couldn’t sympathize less with terrorists but I am not blind as to why terrorism flourished in Peru. Inequality, racism, poverty, centralization and a continuous neglect on part of the central government created a generation of resentment. Some channeled their resentment in a positive way by contributing to the development of the country, but others decided that violence was the only path. We are now definitely in better shape; poverty and analphabetism have been significantly reduced and we have one of the fastest growing economies in the world, but some issues remain. The memories of those troubled years will live in me always. We all have our stories and we are all entitled to our opinions. I don’t feel the need to share my political views when not asked, and if the day comes when I have to openly speak about them, I’ll do so. Unlike other composers however, I don’t feel the need to permeate every single work of mine with a political message. I respect those who do, but I think that every now and then we also have to aim higher. We must speak to those values that lie beyond our current political and historical context. We should not allow our minds to dictate every single note we write. Instead, I prefer to rely on other aspects of myself that I hold in higher regard, such as the my heart and intuition. Only when we go past the physical, the emotional and the mental can we reach the spiritual, and it is only then that we really get in touch with a world beyond ours. Why give this, our immediate reality, our exclusive attention? Yes, we must be aware or our historical context and we must have our feet on the ground, but we, as artists, also have the possibility to fly and give people something out of the ordinary, something that is beyond everything that we experience in our daily lives. Something that transcends and makes us dream, live, and breathe worlds still unknown to us. This is what makes us imagine realities which are yet to materialize; realities where our music is played in places that man has yet to reach, and by life forms we are yet to encounter. Only then, I think, an artist does develop his full potential, pushing mankind forward and ushering a new era. Let’s go past the things that worry us right now, because such things, when placed in the larger context of the Universe, reveal their true insignificance. At 35 one does not think about one’s legacy, relevance or achievements. At 35 one is fully invested in one’s present while at the same time trying to build a future. It’s a time of transition, a time when one starts to settle down, do what one really likes to do (at least part of the time) and earn some decent money…finally! Everyone’s path is different and one can’t generalize, of course, but now and then there are things that stop you on your tracks, force you to look back, and make you think of all the things you’ve done up to this point in life. That is exactly what happened to me on October 3rd, 2014, when I was awarded the “Antara Prize” in recognition for what the inscription describes as my “brilliant artistic career”. Main entrance at Gran Teatro Nacional. I have been awarded prizes in the past, but this one touched me in a particular way for a number of reasons. First, I didn’t apply for it; it was not part of a competition so I wasn’t expecting it. Second, it has been awarded to people for whom I have great respect, like my mentor and teacher, the great Peruvian composer and pedagogue Enrique Iturriaga, who is now 96 years old and is still as lucid as anyone can be. Third, I was not able to attend the award ceremony so I had to ask my parents to accept it on my behalf, and finally, I had to give an acceptance speech -which I hadn’t done before. Since I wasn’t able to receive the prize in person, I entrusted my dad with this task, which he performed flawlessly. On that very night, soloist Jesús Castro-Balbi, conductor Ramón Tebar, and the National Symphony Orchestra of Peru gave the South American premiere of my cello concerto “Lord of the Air” at the Gran Teatro Nacional. It was by all accounts a truly memorable evening, and the second half of the program included a work which is very close to my heart, Jean Sibelius’ second symphony, a work I discovered and learned to love during my seven-year-long stay in Finland. There is one more thing though that made this prize special: it was awarded to me at home, in my native Lima, where I grew up, went to school and cultivated my passion and where I left from 14 years ago in order to continue pursuing my dreams. 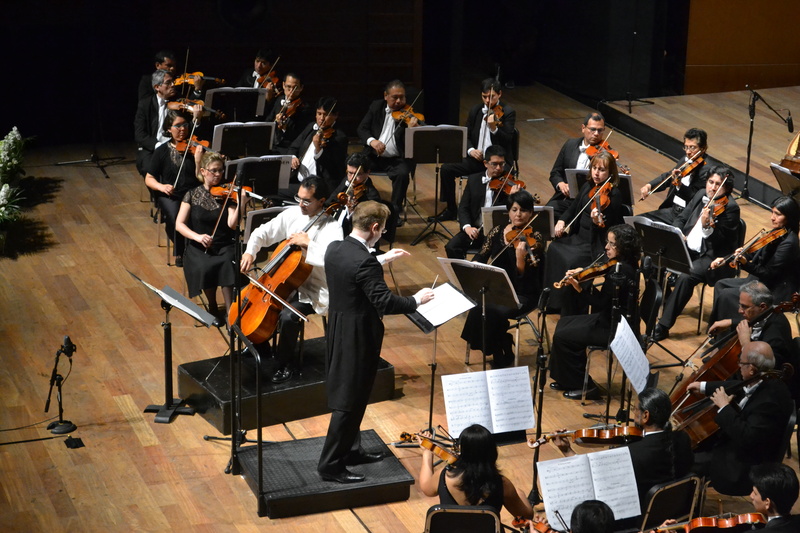 Cellist Jesús Castro-Balbi, conductor Ramón Tebar and the National Symphony Orchestra of Perú performing “Lord of the Air” on October 3, 2014 at the Gran Teatro Nacional. So what did I see when I looked back? I realized that music has been present throughout my life and that it has shaped most of the most important decisions in my life such as moving to Finland in 2000 and moving to California in 2007. I also learned that I have written a considerable amount of music and that it has been gradually getting better and better (and hopefully that will always be the case!). I realized that out of those 36 years, 21 have been spent in Peru and 15 (or 42%) have been spent abroad. But what it mainly made me realize is that hard work and determination yield results. When I was a little kid and I sat at the piano, my audience was rather limited; mostly my parents and sister, but especially my dad who would invariable ask me to play for him every day after dinner. He didn’t only listen to me play, he criticized my playing, gave his opinions about this or that composer, and gave me suggestions on how to improve my own little compositions. He did all of this without having any idea of what he was talking about -by the way, but what’s funny is that he was actually right a lot of the time. I don’t know how he did it because he had no training whatsoever in music and very limited exposure to classical music before I came along, but he had and still has a really sharp intuition that has guided him all along. He used to say that architecture and music had a lot in common, and now I see what he meant. I am exactly the same person I was before October 3rd, (except that I’m now 36!) and I know that the scope and relevance of the prize is limited to my home country, but it carries a powerful, symbolic meaning for me. I wish I could go back in time and tell myself that everything is going to be ok. I wish I could talk to my nervous, sweaty, little 10-year-old self before going on stage to play in public for the first time, or if I could talk to the teenager who was a nervous wreck before the entrance exam to the Conservatory, or the young man who went all the way to Finland and left his family and friends behind to study in a country where he didn’t know a single soul and where the sun refuses to set or rise (depending on the time of the year). But that’s not how things work. We don’t know what the future holds for us and that’s what makes it special, because it’s full of opportunities. At 36 all I want to do is to keep living and writing and loving, and if another recognition comes in the future, at least now I am prepared to look back. 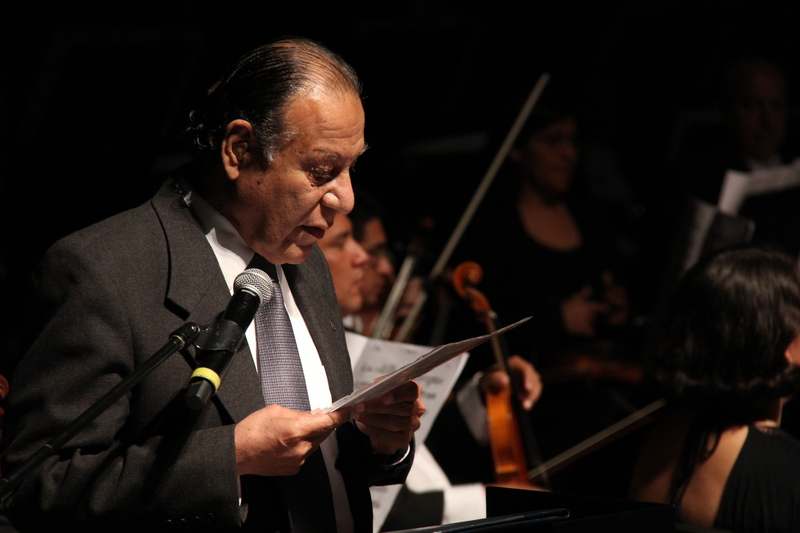 My father, Architect Javier López Caipo, reading my acceptance speech. “Good evening ladies and gentlemen. This is Architect Javier Lopez Caipo and I am here tonight to accept this award on behalf of my son, composer Jimmy López. Jimmy has asked me to share a few words of gratitude with you, which I will proceed to read next. The Lima Contemporary Music Festival and the National Symphony Orchestra are two of the most valuable cultural institutions of our country. That is why I want to begin by highlighting the tireless work that both, Jorge Garrido-Lecca, President of ERART and Fernando Valcárcel, Chief Conductor of our country’s first orchestra, perform every day. 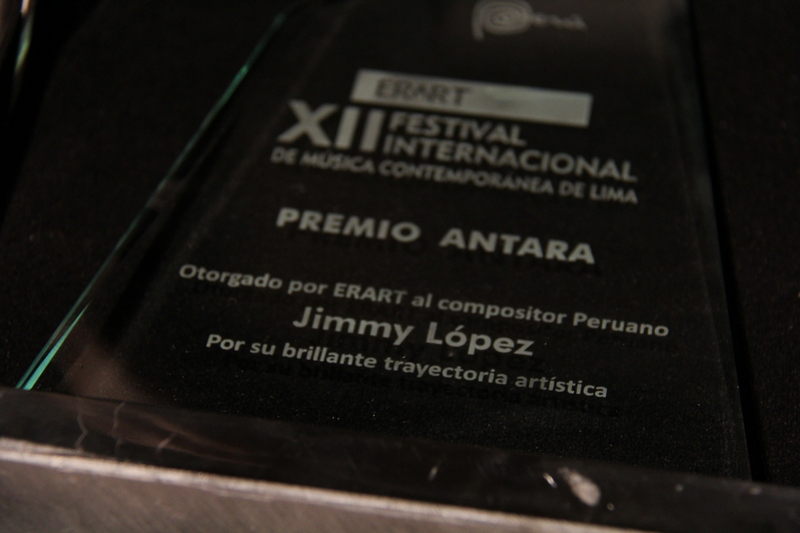 It is for me an honor to be awarded the Antara Prize, which has been previously awarded to iconic figures of Peruvian composition, such as my dear mentor, the great composer and pedagogue Enrique Iturriaga. I left Peru fourteen years ago with the desire to fully develop my vocation, encounter different cultures and customs, and absorb all the knowledge I could take. Over time, many of my goals have come to be, but one of the most precious gifts that distance gave me was that it made me look at my own country with a fervor and intensity that I had never experienced before. This award means a lot to me, but first of all it means that my work is recognized at home and the bond with my country remains as strong as ever. I deeply regret not being able to be physically present with you tonight, but please know that I am present through my music and my parents, who have been gracious enough to accept this award on my behalf. 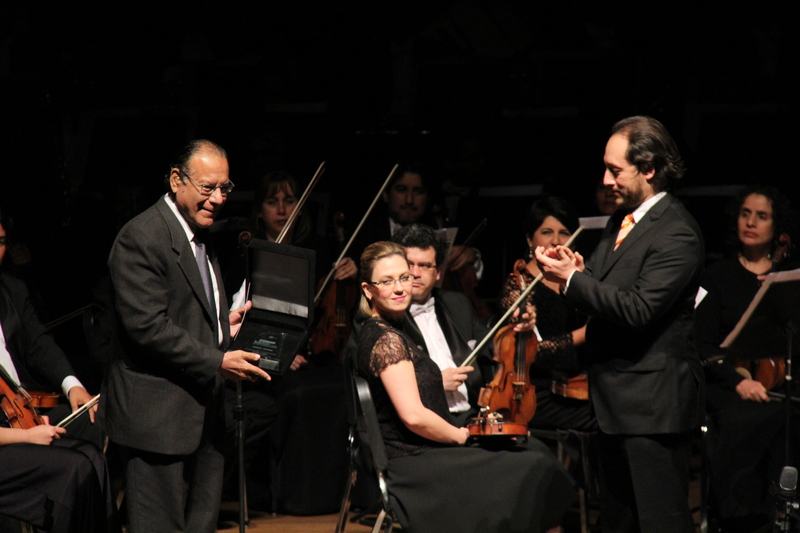 My father receiving the prize from the hands of Fernando Valcárcel, Chief conductor of the National Symphony Orchestra of Peru.